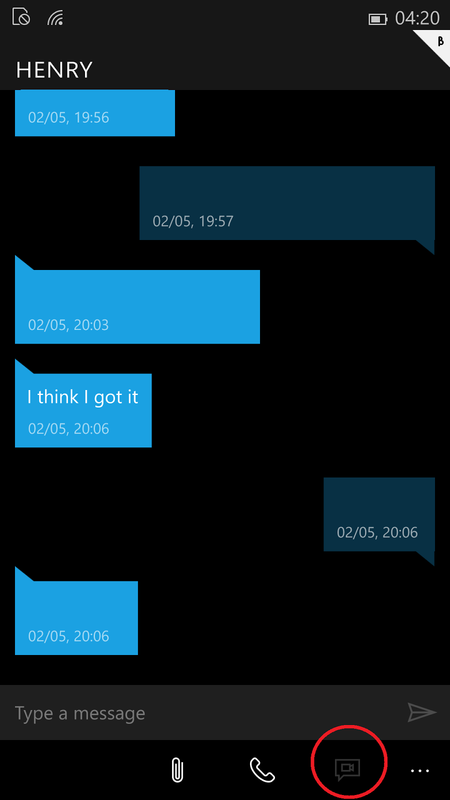 Skype Qik integration also coming in Windows 10 Mobile’s Messaging app? We already know Skype will be fully integrated into the Messaging app in Windows 10 Mobile, as Microsoft announced it and also demo’ed it at its Windows 10 event back in January. But no one really said anything about Skype’s spin off app… Skype Qik being integrated into Messaging. Skype Qik is a new video messaging service from Skype that was launched last year. It’s used to create, edit and send video messages to anyone. It is also available on Android and iOS. I spotted a video message button in the new re-designed Messaging app on Build 10080 for Windows 10 Mobile. It is grayed out, so it isn’t usable yet, but neither is Skype integrated yet. I think it is a fair assumption that when they are ready, the video message button will be used to integrate Skype Qik service. Microsoft is creating a very formidable rival to Google’s Hangouts and Apple’s iMessage. Skype was acquired by Microsoft a few years (in 2011) ago for $8.5Billion, today they have 300 million users and almost 5 million daily users. even though their mobile app has been below par and hasn’t seen enough significant change since then. But with Windows 10, Microsoft will finally get what they paid for and put Skype to good, effective use! In the meantime, you can download Skype Qik from the Windows Phone store and let us know what you think. Is Microsoft implementing Skype the right way?